The series “The Game of Thrones” will return only in April 2019, but neither loyal spectators, nor – what is most interesting – the scientists, forget about it. Brett Ratcliffe, an entomologist at the University of Nebraska, decided to name three of the eight beetles he discovered in honor of the characters of Game of Thrones. The beetles were named after the three dragons of Daenerys Targaryen – Drogon, Reyagel and Vizerion. Of course, in their Latin version – Drogoni, Rhaegali and Viserioni. 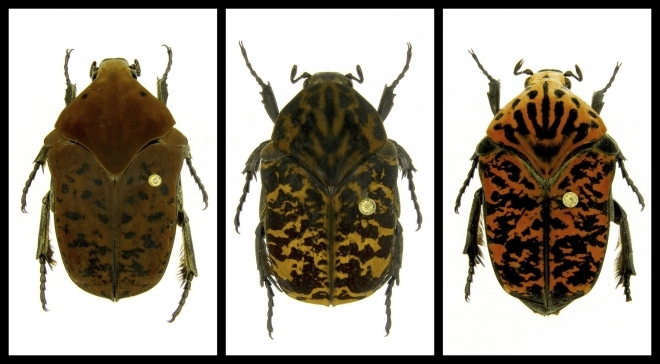 “When you come up with such names, you do it in order to attract public attention and get wide publicity,” says Ratcliffe, who during his career gave names to more than 200 species of beetles. Ratcliffe noted that he chose these names, as he highly appreciates how dragons are presented in the series. Also in the color of all three species there is an orange color, which reminds of the dragon fire. Ratcliffe hopes that well-known names will help people learn more about unknown species of the planet and biodiversity. Species Drogoni and Viserioni inhabit Colombia and Ecuador. Rhaegali is found only in French Guiana. The mother of beetles, that is, dragons, would be proud.